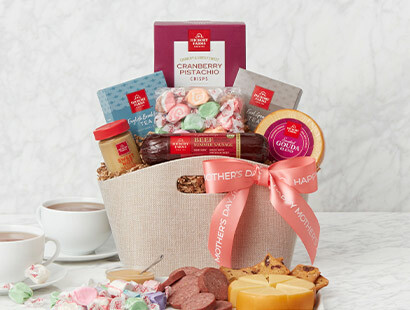 Celebrate Mom with delicious gifts filled with her favorite flavors! At Hickory Farms, we connect people through effortless gifting. 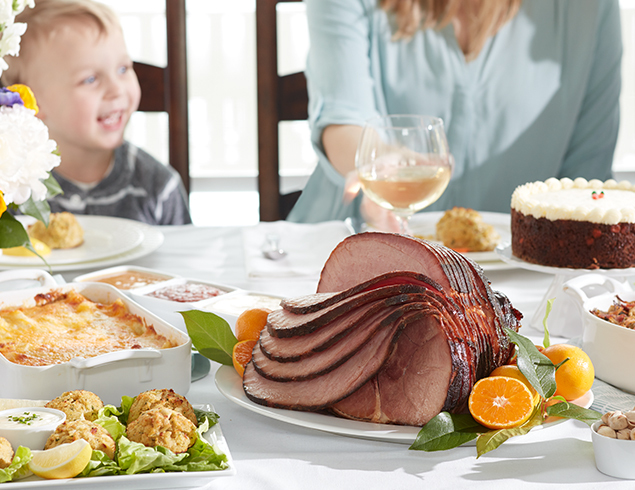 Our gifts of good taste are crafted from the highest quality ingredients and expertly-curated flavors so you can celebrate every moment with something truly delicious. From savory sausages and cheeses, decadent desserts and chocolates, and restaurant-quality steaks, there’s something for everyone on your gift list. Or, turn to our tasty gourmet food selection next time you’re entertaining to create a delicious appetizer platter. Celebrate everything with our selection of gift baskets, gift boxes, towers, and crates that are impressive as they are delicious. And if you can’t be there in person with friends and family, send a delicious gift such as one of our gourmet fruit baskets right to their door to let them know you’re thinking of them. 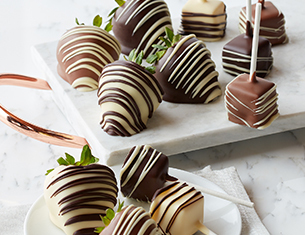 They’re easy to order and even easier to enjoy whether you’re sending a gift across the street or across the country. 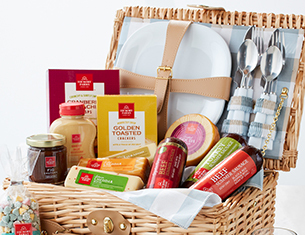 A gift from Hickory Farms brings delight to any occasions or holiday with those you care about most. on your next purchase when you sign up for exclusive email offers and gift ideas. Check your email for your exclusive offer! Sorry, this offer is just for new subscribers! 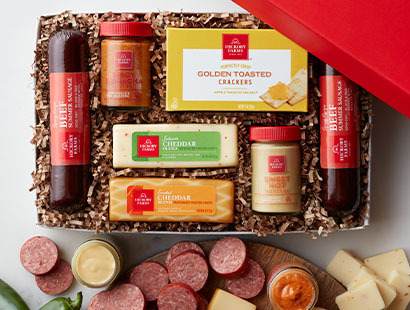 Watch your inbox to be the first to get exclusive Hickory Farms email offers!